Upgrade your home theater with decoding for the most immersive surround sound available. Upgrade your home theater with decoding for the most immersive surround sound available. The AM 230 lets you add support for a 5.1.2 Dolby Atmos configuration to four of NAD's most popular surround sound components with MDC (Modular Design Construction). With an additional amplifier, this module can even support up to a 7.1.4 Atmos setup. The AM 230 also supports Dirac Live™ room correction for improved room acoustics, stereo image, and clarity. does this upgrade also work for NAD T 757? I have the T777 and this upgrade is awesome. It also includes WiFi streaming and BluOs connectivity. Dirac Live speaker calibration is fantastic. So sorry, not familiar with your model. Modular Design Construction (MDC): NAD's Modular Design Construction (MDC) makes future upgrades possible with interchangeable, upgradeable modules. Compatibility: The NAD AM 230 MDC module is compatible with the following NAD AV receivers - T 187, T 758, T 777, and T 787. 24-Bit/192KHz DACs: The AM 230 MDC module incorporates audiophile-quality 24/192 DACs, delivering nearly un-measurable noise and distortion with an extremely wide dynamic range capable of fully resolving the most advanced cinematic soundtracks and Hi-Res Audio content. Dirac Live Room Correction: Dirac Live is a sophisticated digital room correction system that helps you build the perfect listening environment by correcting for both the timing and coloration in sound using the supplied microphone and its powerful software. For more information on Dirac Live, click here. Note: The AM 230 will include a license for Dirac Live LE for NAD with the option for advanced users to upgrade to a full version. A firmware upgrade will be required to enable Dirac Live. Check the package for more information on how to perform a firmware update and upgrade Dirac Live. Dolby Atmos: The AM 230 MDC module adds the ability to process Dolby Atmos. Although the AM 230 slots into NAD's 7.1ch chassis, it can support up to a 7.1.4 Atmos speaker configuration. This is accomplished with four channels of line level outputs used to connect to additional external amplifiers (sold separately). The AM 230 can also be configured to use your compatible NAD AV receiver's internal amplification to create a 5.1.2 setup. 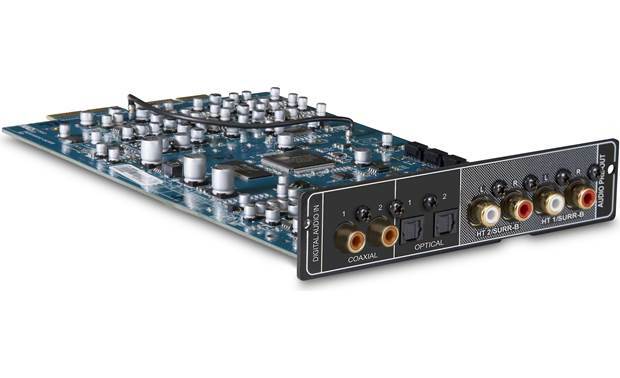 Inputs & Outputs: The NAD AM 230 MDC module is outfitted with two optical (toslink) digital inputs, two coaxial (RCA) digital inputs and four RCA pre-outs. Three back-panel plates are supplied which label the connections (only one of the plates will be used based on your model of NAD receiver). Updates & Downloads: Click here for links to the firmware update and to download the Dirac Live software program for Windows PC or Mac. Is there a video showing the process of installing the AM230 in a TXX7 chassis? There is no video. 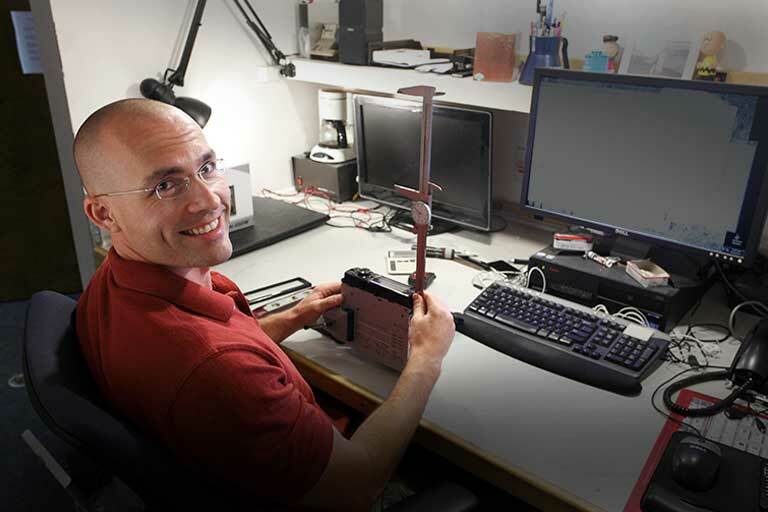 The install is very straight-forward and we provide lifetime tech support with every purchase: https://www.crutchfield.com/Support/TechSupport.aspx So, you can always call with any problems or questions. Searches related to the NAD AM 230 Add-on Dolby Atmos® module for select NAD surround sound components.